The NTMA, as controller and manager of the Ireland Strategic Investment Fund believes that the Fund, as a large and long-term investor in Ireland, has a duty to actively contribute to the sustainability of the Irish economy for future generations and to encourage others to do the same. As a ‘universal owner’, the Fund owns a share of both the Irish and global economies and that its actions need to be considered in the context of wider economic sustainability. We want to achieve better risk-adjusted returns from market exposures by removing inefficiency and costs associated with poor management of environmental, social and governance (ESG) issues – they are important drivers of long term success and their inclusive consideration will benefit the collective investments not just at each individual transaction level, but at total portfolio level. The NTMA believes that responsibly managed companies are best-placed to achieve a sustainable competitive advantage and provide strong, long-term investment opportunities. Organisations that manage ESG factors effectively are more likely to endure and create sustainable value over the long term than those that do not. As a responsible investor, it understands that ESG factors present both risks and opportunities in those sectors most directly affected by sustainability issues. Taking these into account throughout its investment decision making processes the Fund aims to focus on a number of ESG issues – in particular climate change and emissions and governance issues such as board structure and shareholder rights. The Fossil Fuel Divestment Act, 2018 prohibits the ISIF from directly investing in any undertaking that generates 20% or more of its turnover from the exploration for or extraction or refinement of a fossil fuel (oil, natural gas, peat, coal or any derivative thereof intended for use in the production of energy by combustion). In the case of pooled investment vehicles, exposure to such undertakings should be 15% or less. ISIF has, in conjunction with its advisors, developed an initial list of 148 companies that it believes would be regarded as fossil fuel undertakings for the purposes of the legislation. This list has been provided to its investment managers and any directly held equity or debt investments in any of those companies were divested before year end. The PRI provide a best-practice framework for investors to integrate consideration of ESG factors into investment decision making and ownership practices. As a PRI signatory, the Fund has committed to its six principles, which serve as a guide for activities and reporting related to responsible investing. As a PRI signatory we are obliged to report on its progress in implementing the principles as part of the Annual PRI Reporting and Assessment Framework survey. We are a signatory to the Carbon Disclosure Project (now known as CDP), a global mechanism whereby investors encourage companies to disclose their greenhouse gas emissions to investors. We are currently an active member of the CDP Ireland Steering Committee. Read the most recent CDP Ireland Report here. The Fund is invested in Generation Investment Management’s global equity fund. Generation’s investment philosophy is high-conviction and based on a core belief that sustainability-related risks and opportunities directly affect long term business profitability. Visit Generation Investment’s Management website. 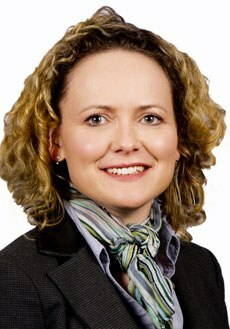 Emma Jane is Head of Responsible Investment within the Ireland Strategic Investment Fund where she leads the Fund’s responsible investment activities. If you would like to get in touch with Emma Jane please email her at the below address.